Clinical advice on ad hoc issues to support parliamentary accountability. National Clinical Directors take the clinical lead in driving improvement in the quality of services in specific clinical areas. As part of that, the NCDs support policy and strategy teams in the successful design and delivery of a suite of tools to support system, professional and care pathway changes at a national and local level. The NCDs work collaboratively with their colleagues to ensure there is coherent commissioning guidance across CCG and specialised commissioned services. NCDs also contribute to definition of the outcome measures by which clinicians and patients recognise services should be judged. Chris is the Medical Director for Strategy at The Christie NHS Foundation Trust in Manchester. 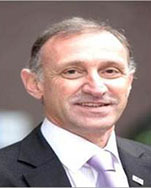 He qualified in Medicine from Manchester and following experience in both hospital medicine and primary care trained as in epidemiology and public health, holding a series of Director of Public Health Posts in Lancashire before becoming Cancer Director for the North West Region in 2000 and then Medical Director of Greater Manchester Strategic Health Authority in 2002. He was then Executive Medical Director at The Christie from 2006 until 2013 when he moved to London becoming Medical Director at Imperial Healthcare NHS Trust before returning to Manchester in March 2016. Between 2011 and 2013 he was seconded half time from his role at The Christie to be Clinical Director for Cancer to NHS London. Dr Jacqueline Cornish, OBE, FRCP(London) Hon FRCPCH, is National Clinical Director for Children, Young People and Transition to Adulthood for NHS England. 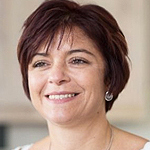 An active clinician and passionate about high quality and safe patient care, she is a Consultant, formerly the Director of Paediatric Stem Cell Transplant at Bristol Royal Hospital for Children, working with children with a high risk haematological malignancy. Jacqueline has been extensively involved with teaching and research with many publications and an international lecture programme. Jacqueline has 20 years’ experience of medical management in the NHS, having been Head of Division of Women’s and Children’s Services at University Hospitals Bristol NHS FT for the past eight years. 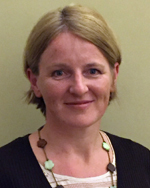 Over the past year she has been working closely with the Specialised Services Transition process to the NHSCB, as Chair of the Paediatric Medicine Clinical Reference Group and Chair of the Specialised Services Women and Children Programme of Care. This successful work continues into NHS England. Matt is a GP in Runcorn with public health experience. Since 2013-14 he has been working as National Clinical Advisor for both NHS England and Public Health England, supporting programmes to improve primary and secondary prevention of cardiovascular disease and diabetes. In particular, he has focused on building primary care leadership to champion earlier detection and improved management of conditions such as hypertension, atrial fibrillation, type 2 diabetes and raised cholesterol, and in exploring ways in which the third sector, local authorities and other partners can help the NHS to get serious about prevention. From 2009 to 2013 Matt worked as clinical and public health advisor to the Department of Health respiratory programme supporting development of the Outcomes Strategy for COPD and Asthma, and was lead author of the NHS Atlas of Variation in Healthcare for People with Respiratory Disease. He was also a member of the NICE Public Health Interventions Advisory Committee from 2005 to 2013, developing public health guidance for NHS, local authority and other practitioners. Matt graduated in Medicine from the University of Birmingham and obtained a Master’s Degree in Public Health from the University of Liverpool in 2003. He is a Fellow of the Royal College of Physicians and a Fellow of the Royal College of General Practitioners. 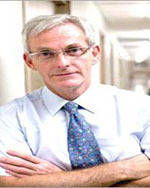 Alistair Burns, MBChB, FRCP, FRCPsych, MD, MPhil, DHMSA is National Clinical Director for Dementia and Older Peoples’ Mental Health for NHS England. Professor Alistair Burns is Professor of Old Age Psychiatry and Vice Dean for the Faculty of Medical and Human Sciences at The University of Manchester, Clinical Director for the Manchester Academic Health Science Centre (MAHSC) and an Honorary Consultant Old Age Psychiatrist in the Manchester Mental Health and Social Care Trust (MMHSCT). He is the National Clinical Director for Dementia in England. He graduated in medicine from Glasgow University in 1980 and trained in psychiatry at the Maudsley Hospital and Institute of Psychiatry in London. He became the Foundation Chair of Old Age Psychiatry in The University of Manchester in 1992, where he has been Head of the Division of Psychiatry and is a Vice Dean in the Faculty of Medical and Human Sciences, with responsibility for liaison within the NHS. He has been Director of Research and Development in the University Hospital of South Manchester NHS Trust (UHSMT) and also Non-Executive Director and Vice-Chairman of that Hospital Board. He set up the Memory Clinic in MMHSCT and helped establish the old age liaison psychiatry service in UHSMT. He is a Past President of the International Psychogeriatric Association and is also on the board of the European Association of Geriatric Psychiatry. He is Editor of the International Journal of Geriatric Psychiatry and is on the Editorial Boards of the British Journal of Psychiatry and International Psychogeriatrics. His research and clinical interests are in mental health problems of older people, particularly dementia and Alzheimer’s disease. He has published over 300 papers and 25 books. Tony Newman-Sanders read Medicine at Gonville and Caius College, Cambridge and the Royal London Hospital. He trained in General Medicine at Bart’s, in Renal Medicine and then in Clinical Radiology at St Mary’s Hospital, Paddington. He was appointed Consultant Radiologist at Mayday Healthcare NHS Trust (now Croydon Health Services) in February 1998. He oversaw the establishment of the MRI Unit and developed and led the musculoskeletal imaging service. He was appointed Clinical Director for Diagnostics and Cancer Services in 2007 and in 2009, became Clinical Director for Emergency Services. He was Medical Director at Croydon Health Services from 2011-2013. He is a former secretary of the MR Radiologists Association and a former Committee member of the RCR PACS and Teleradiology Special Interest Group and IT advisor to the Professional Support and Standards Board until 2015. 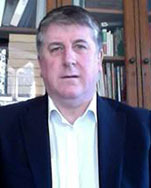 Since 2006 he has been National Clinical Advisor to the Connecting for Health (now HSCIC) Picture Archiving and Communications Systems (PACS) Programme. In 2010 he established and Chaired the Informatics Committee of the National Imaging Clinical Advisory Group. He was a member of the Department of Health project looking at 7 day working in Diagnostic Imaging and was invited to sit on the DH Information Strategy workshops. Since February 2014 he has been Chief Clinical Information Officer for the South London Academic Health Science Network (Health Innovation Network) and for the South London CLAHRC (Collaboration for Leadership in Applied Health Research and Care). In January 2016 he was appointed the first Medical Director of the Health Innovation Network. He represents the AHSN Network on the Strategic Clinical Reference Group of the National Informatics Board. In April 2016 he moved his NHS practice from Croydon to become Clinical Director for Diagnostic Imaging and CCIO at Surrey and Sussex Health Services. Bob Winter is National Clinical Director for Emergency Preparedness & Critical Care for NHS England. Bob is a consultant in critical care at Nottingham University Hospitals NHS Trust and a Medical Lead for the Mid-Trent Critical Care Network. In addition he is Chair of the National Network Medical Leads forum and was responsible for leading on the pandemic influenza surge response. Bob has been involved in the Intensive Care Society as a Council member (2002- 2012), Honorary Secretary (2004-2007) and President (2009-2011, May-Dec 2012) and is currently an elected member of the Board of the Faculty of Intensive Care Medicine. Outside critical care he has an interest in trauma as a Major Trauma Consultant at Queens Medical Centre and Medical Lead for the East Midlands Major Trauma Network. 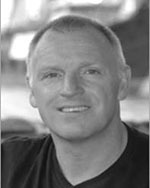 Bob is a Member of the Advanced Trauma Life Support steering group (RCS England), Chair of the promulgation committee of ATLS Europe and Chair of the Pre-Hospital Trauma Life Support Steering Group (UK). Bob qualified in 1982 from Nottingham and trained in Nottingham, Burton on Trent, Truro, Bristol, Leicester, Mansfield and back to Nottingham. Bob has an interest in motorsport and has been Chief Medical Officer for a wide range of national and international motorcycle events. Professor Huon Gray MD FRCP FESC FACC is National Clinical Director for Heart Disease for NHS England. 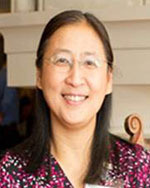 Huon was appointed consultant adult and interventional cardiologist to Southampton University Hospital in 1989. He was President of the British Cardiac Society (2003-5) and co-chaired the Dept. of Health’s National Infarct Angioplasty Project (2006-8) which led to the subsequent roll out of primary PCI for ST elevation myocardial infarction. He was clinical adviser to NICE on acute coronary syndromes (2007-10), and chaired its guideline on ST elevation myocardial infarction (2011-13). He chaired the International Council of the American College of Cardiology (2008-13) and sat on the ACC’s Board of Trustees (2012-16). Huon is honorary professor at Queen Mary’s University, and University College, London, and has published on various aspects of cardiology and health service delivery. He was Deputy and then Interim National Clinical Director for Heart Disease at the Department of Health (2007-12), and was the National Clinical Director for Cardiac Care in NHS England from 2013-16. Her clinical and academic interests have focussed on ethnicity and diversity, parents with learning disabilities, inequalities in healthcare and health outcomes for disadvantaged and vulnerable populations, particularly those with learning disabilities and mental illness. Her books ‘Adults with Learning Disabilities: a practical approach for health professionals’ (Wiley & Sons, 1997) was the first published handbook for primary care, and ‘Intellectual Disabilities and Ill-Health: a review of the evidence’ (CUP 2010), the first comprehensive review of mental and physical disorders in people with learning disabilities. 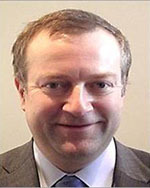 Matthew Jolly is National Clinical Director for the Maternity Review and Women’s Health NHS England. Matthew took up the role as National Clinical Director: maternity review and women’s health for NHS England in October 2015. He is an experienced clinician who is committed to providing excellent individual care and to the strategic improvement of maternity services and women’s health. Matthew qualified at St. Mary’s Hospital Medical School and trained as an obstetrician and gynaecologist in the North West Thames region, including two years researching the role of maternal metabolism in fetal growth at Imperial College School of Medicine. He trained as a sub specialist in maternal and fetal medicine at the Centre for Fetal Care, Queen Charlotte’s & Chelsea Hospital. 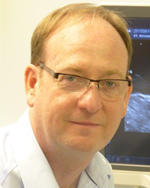 Since 2001 he has worked as a consultant obstetrician and gynaecologist at Western Sussex Hospitals NHS Trust and Portsmouth Hospitals NHS Trust. He has in the past worked as a departmental clinical director and as joint clinical director for The Maternity Children and Young People South East Coast Strategic Clinical Network. Professor Tim Kendall has been Director of the National Collaborating Centre for Mental Health at the Royal College of Psychiatrists for 15 years and Visiting Professor at University College London for the last 8 years. He has also been Medical Director for 13 years and continues as Consultant Psychiatrist for the homeless at Sheffield Health and Social Care NHS Foundation Trust. As Medical Director, Tim has set up a service user experience monitoring unit, led the reconfiguration of acute care and rehabilitation leading to the elimination of out of area treatments, the modernisation of the acute and crisis care pathways and initiated the development of NICE recommended personality disorder services within the community. Tim chaired the first NICE guideline, launched in December 2002, on the management of schizophrenia and the first National Quality Standard (Dementia) for NICE. Tim has published numerous articles and papers and often represents the NCCMH, NICE or the Royal College of Psychiatrists in the media. 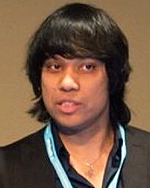 In 2004 Tim, was awarded “Lancet Paper of the Year” for showing the impact of selective publishing by the drug industry about antidepressants in the treatment of childhood depression; and with others was awarded the Paper of the Year Award for the Health Economic Journal ‘Value in Health’ in 2012 for work on schizophrenia. 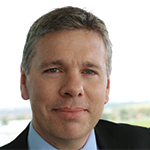 Peter Kay is National Clinical Director for Musculoskeletal Services for NHS England. 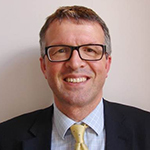 Peter is a Consultant Orthopaedic Surgeon at Wrightington Hospital, Lancashire and is former President of the British Orthopaedic Association (2011), British Hip Society (2008) and British Orthopaedics Trainees Association (1992). He is also Honorary Clinical Professor of Orthopaedics at the University of Manchester and Clinical Professor at the University Central Lancashire and currently serves on the Council of The Royal College of Surgeons of England. 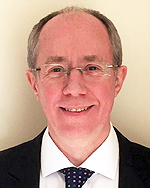 He has produced research publications (scientific and popular) and presentations on orthopaedics and trauma, health service management, modernisation and medico-legal aspects of orthopaedics and trauma, clinical networks, integrated care, workforce development and specialist commissioning. His clinical interests include hip and knee replacement surgery, revision joint replacement surgery for loosening and infection and knee arthroscopy, multidisciplinary approach to arthroplasty services. Managerially he has been Director of Research, Clinical Director, Divisional Chairman for MSK (responsible for elective orthopaedics, trauma and rheumatology) and Associate Medical Director in his own Trust (Wrightington, Wigan and Leigh NHS FT). He has three years experience as a full Trust Board Member up to a successful Foundation Trust application. He is the clinical lead for the Specialist Orthopaedic Hospital Alliance in the UK. 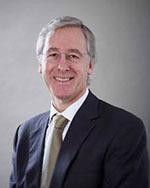 He has served on a number of Department of Health Committees including Patient Reported Outcome Measures Steering Group (PROMS), Enhanced Recovery Steering Group (ERP), Fragility Fracture Board, and significantly was the National Clinical Chair of the 18 Week Steering Group for Orthopaedics and MSK for four years (2008-2011). He sat on the NICE Guideline Development Group for Osteoarthritis, and chairs the “Beyond Compliance” Steering Committee working to protect patients whilst supporting responsible innovation in orthopaedic implants. He has campaigned nationally and internationally for effective and equitable commissioning for musculoskeletal services across the whole of healthcare. Professor Jonathan Valabhji MD FRCP is National Clinical Director for Obesity and Diabetes for NHS England. Martin qualified in 1988 in Manchester. Following training in the North West he moved to East London to train in Geriatric Medicine where he also acquired an MA in Medical Ethics and Law from King’s College. 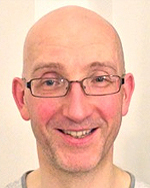 He returned to Manchester in 1999 to take up post as Consultant Geriatrician building community geriatrics and adult long term conditions management services in South Manchester. Martin was Associate Medical Director for NHS Manchester in 2010 and more recently was Clinical Champion for frail older people and integrated care In Greater Manchester. He has been the British Geriatrics Society Champion for End of Life Care for the last five years and was until recently a standing member of the NICE Indicators Committee. In 2015 Martin moved to Central Manchester where he is Consultant Geriatrician and Associate Head of Division for Medicine and Community Services. He is Hon. Research Fellow at Manchester University and Hon. Senior Lecturer at Salford University where he teaches Masters level medical ethics and law. He has published on topics ranging from mental capacity, end of life care, dementia and adult safeguarding. His current academic interests include frailty, end of life and care home medicine. Mike Morgan is the National Clinical Director for Respiratory Services in England. Mike is a consultant respiratory physician at the Department of Respiratory Medicine, Allergy and Thoracic Surgery at the University Hospitals of Leicester NHS Trust at Glenfield Hospital and Honorary Professor at the University of Leicester. His career interests have included the assessment and management of respiratory disability particularly in COPD. He has had over 20 years experience of clinical management in developing and leading the respiratory services in Leicester. He is also a Vice President of the British Lung Foundation, the editor of Chronic Respiratory Disease and previously, Chairman of the Asthma UK research committee. He has recently demitted as Chairman of the Executive of the British Thoracic Society. 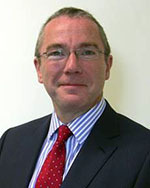 Tony Rudd is the National Clinical Director for Stroke with NHS England. Tony is a stroke physician based at Guy’s and St Thomas’ NHS Foundation Trust and Professor of Stroke Medicine at Kings College London. He has run the stroke programme at the Royal College of Physicians since 1995 producing National Clinical Guidelines and running national stroke audits. Since 2010 he has been the clinical director for stroke in London, overseeing the implementation of a radical reconfiguration of services. He is a trustee and vice chairman of the Stroke Association. Chris Moran MD FRCS(Ed) is National Clinical Director for Trauma for NHS England. Chris is Professor of Orthopaedic Trauma Surgery at Nottingham University Hospital. He is a full-time trauma surgeon with a special interest in polytrauma, complex fractures and the treatment of nonunions. He has a busy on-call commitment for emergency care of trauma and continues as a Trauma Team Leader. He has chaired regional and national clinical advisory groups for the development of Major Trauma Networks throughout England and has also authored many scientific papers, clinical guidelines and protocols on the management of complex trauma. Chris also has a long-term interest in the management of older patients with fragility fractures. He is co-chair of the National Hip Fracture Database and co-authored audit standards for hip fracture care that have become the basis for best practice. Chris believes that NHS-England should provide comprehensive trauma care including children, adults and older people, from the point of injury through treatment, rehabilitation and a return to work or education. This system must include accident prevention and also the management of osteoporosis (weakening of the bones) to prevent future fractures in older patient. Professor Jonathan Benger, National Clinical Director for Urgent Care for NHS England. Jonathan has led or collaborated on 28 grant-funded research projects with a total value in excess of £8 million, and has authored more than 100 peer-reviewed publications. His main research interests are the evaluation of new technologies and techniques, service configuration and workforce, emergency airway management, resuscitation and pre-hospital care. 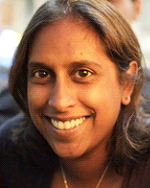 Prathiba is a Consultant in Child and Adolescent Psychiatry working in a large mental health and community trust (Pennine Care NHS Foundation Trust). Lead consultant since 2005, she became Clinical Director in 2015 and continues to work clinically within a community child and adolescent mental health service in South Manchester. She graduated from Medicine (University of Manchester) before completing her MD, inspiring her interest in the needs of children and young people in contact with the criminal justice system. 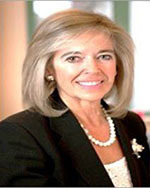 Over the last 12 years she has published in journals and books and contributed to national reports and guidance for the Youth Justice Board and Office of the Children’s Commissioner. 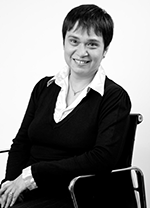 She has contributed to the development of the Comprehensive Health Assessment Tool across the youth justice secure estate for the Department of Health and NHS England and continues to be research active as an Honorary Research Fellow and Lecturer for the Offender Health Research Network (University of Manchester). As a clinical advisor (Greater Manchester and East Cheshire Strategic Clinical Networks), she has also promoted the development of regional clinical guidance across Greater Manchester. Dr Partha Kar has been a Consultant in Diabetes & Endocrinology at Portsmouth Hospitals NHS Trust since 2008. He has been the Clinical Director of Diabetes from 2009-2015, being part of a multiple national award-winning department due to its services and care provided. One of his main areas or passion is in helping to redesign diabetes care in an attempt to integrate chronic disease management across primary and secondary care. He is the pioneer of the Super Six Model, which won the Care Integration Awards 2012, Quality in Care in Diabetes Award 2012 and has been short listed for the Health Service Journal Awards across long-term conditions in 2012,2013 and 2015 and BMJ Awards 2015. He is an avid user of social media such as twitter (@parthaskar) to engage with patients – and been recognised as a “Social media Pioneer” by the HSJ in 2014. Recent innovations have involved the Hypoglycaemia Hotline which was recognised in the Guardian Healthcare Awards 2013. He holds the role of Clinical Service Director for community services in South East Hampshire, along with being nominated to the General Advisory Council of the Kings Fund. He also works with Ascot & Bracknell CCG as a secondary care advisor along with holding a Specialist advisor for the Care Quality Commission. Ramani is a Consultant and Honorary Senior Lecturer in Anaesthesia and Intensive Care Medicine at University College London Hospitals (UCLH). She is Director of the Health Services Research Centre based at the Royal College of Anaesthetists, and also of the NIHR funded Surgical Outcomes Research Centre at UCLH. She was a Council Member of the Royal College of Anaesthetists between 2008 and 2012. 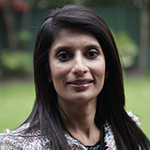 Ramani is currently undertaking a 3-year Improvement Science Fellowship with the Health Foundation, during which she is leading the development of a national Perioperative Quality Improvement Programme. 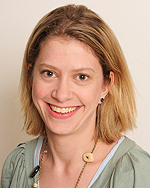 Dr Jo Black is a consultant perinatal psychiatrist with Devon Partnership NHS Trust, SW regional representative on the perinatal faculty at the Royal College of Psychiatrists and Chair of the Regional Reps Committee. She has developed an integrated community perinatal mental health service, with perinatal expertise embedded in the three maternity units serving families in Devon. Jo has experience of working with teams, bringing together clinical, management and commissioning colleagues from primary care, acute and mental health services, women, families and colleagues from the third sector. She looks forward to bringing her energy, experience and ideas to this national role. Dr Giles Berrisford is the Clinical Lead at the Birmingham Perinatal Mental Health Service at BSMHFT – leading one of the largest inpatient Mother and Baby Units in the country. He is the Chair of the national charity Action on Postpartum Psychosis (APP) – working closely with women and families directly affected by postpartum psychosis – the most severe form of perinatal mental illness. 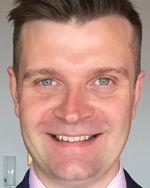 He is the Vice-Chair Elect of the Perinatal Psychiatry Faculty within the Royal College of Psychiatrists and is the West Midlands’ Senate representative for the Perinatal Psychiatry Clinical Reference Group. He is committed to bringing about improved access to maternal mental health services and reducing the unwarranted variation in care currently seen across the country. 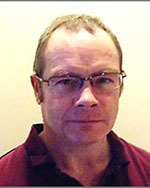 David was appointed as a consultant forensic psychiatrist at Ashworth Hospital in 2001, specialising in high secure psychiatry. He has been the Medical Director for Mersey Care NHS Trust since 2005 and has a strong interest in quality improvement and medical leadership. 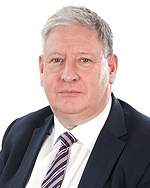 David has also undertaken executive responsibilities for a wide range of local and secure services, developing new and affordable models of care. He was the Inaugural Royal College of Psychiatrists ‘Psychiatrist of the Year’ (2009) and the Healthcare Financial Management Association ‘Working with finance – Clinician of the Year’ (2013). David has also been seconded since May 2015 as the Medical Director of Calderstones Partnerships NHS FT, leading the development of new models of secure learning disability and autism services at a time of significant change.